Divorced parents new to the ambiance of divorce situations would do well to learn from the mistakes of others. The resolutions below are offered to help create family situations that are truly in the best interest of the children involved. Some divorces help kids. Others hurt kids. The ones that help kids are generally healthy decisions by two adults who realize they are no longer a good match for each other or for their children as married parents. The ones that hurt are remembered by adult children of divorced parents and tend to remain unresolved in the adults' minds. 1. Promise yourself to talk civilly to your ex-spouse all the time, not only in front of the children. Children hear everything even when they are not in the room. They sense when you get off the phone or stop texting and have argued stridently with your ex-spouse even if they didn't hear it. 2. Make a resolution to talk honestly to your ex-spouse about scheduling to see the children instead of accusing each other of manipulations. If you need to change a routine, speak openly about why and be reasonable with each other. 3. Resolutely put your child's needs before your own even when you are strung out with tension and exhaustion after seeing your spouse on your front porch. This sounds like a huge burden and it may be, but children feel safer when they know they can trust their parents to keep them uppermost in their minds. 4. Before making a residential move, consider your children's needs in travel and routine. Living and visiting two residences is in itself disorganizing and painful. If extended travel is added to the mix, it makes it even more difficult for many children and teens with complicated schedules and routines. 5. Listen to your children's feelings about divorce even years after the legal proceedings. Children feel differently at different developmental stages. 6. Some children prefer to live with one parent rather than another. This can feel very hurtful to the parent the child wants to live away from. Considering carefully how old the child is when they voice this desire, listen carefully to their struggles without interruption until each parent fully understands what the child is looking for. Only then can you make a sound decision. 7. Find ways to praise your ex-spouse to your children honestly periodically. The children and teens appreciate that their parents are trying to get along. This gives them a sense of safety and security. 8. If you don't trust your ex-spouse in many ways, see a trained professional therapist to iron out your major differences, so each spouse feels they are leaving their children in safe hands when they visit their other parent. 9. Empathize with your children and teens who live in more than one residence. As adults we would find this very disturbing -- our kids do, too. 10. If children live in blended families with step-parents and their children, frequently give them credit for working so hard to get along with many siblings they share their many parents with. This is a most difficult arrangement where kids easily feel forgotten, or at the bottom of the sibling ladder, and afraid they aren't loved. These resolutions are difficult to carry out on a regular basis but the kids who have parents who put them first live a much more loved, secure and caring existence. 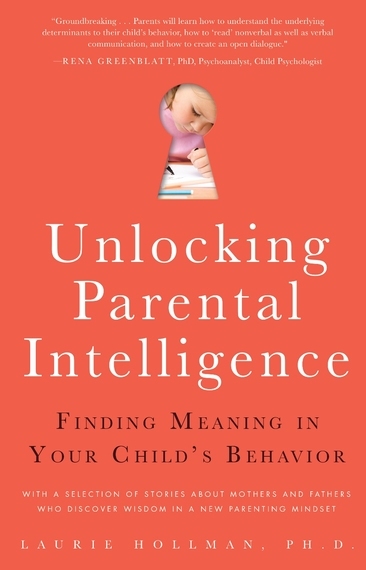 Laurie Hollman, Ph.D. is a psychoanalyst and author with a book that helps divorced parents, Unlocking Parental Intelligence: Finding Meaning in Your Child's Behavior found on Amazon, Barnes and Noble, Familius and wherever books are sold. For more information about Parental Intelligence go to Dr. Hollman's website.